Kristen Lurie, Steve Goldsmith and I were able to sit down on short notice on Monday (9/10/07) at Thayer School to do some planning for the FLL Practice tournament that we have been discussing. I know that many of us have talked or written one-on-one and, as the time approaches for the tournament, I would like to begin to keep all five of us better informed about progress and decisions as they are made. Since the meeting last Monday we have had to adjust decisions a little, such as the date (due to constraints at Thayer) so a little of this information will be news to Steve as well. Our tournament is currently (still tentative) scheduled for November 3, 2007 from 9am to 3pm. 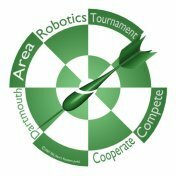 The working name for our tournament at this point is Dartmouth Area Robotics Tournament (Dart). When we first began discussing this idea last winter, the hope was that we might scrape up four teams in the upper valley to get together for a practice meet in advance of the FLL tournaments down south. Since that time, Kristen has succeeded in seeding in the range of a dozen new teams in the area and has mobilized a number of resources at Dartmouth, from the FIRST Organization in Manchester, and elsewhere. As a result we are now looking at a very different kind of tournament. We might have ten or twelve teams at this tournament. We plan to provide interested coaches with training and experience in judging that would create a core of local expertise which would enable us to have a sanctioned FLL tournament here next year. We will give our kids an inside experience of the tournament that will allow first year teams to head south with the ability to see their own performances through the judges eyes. This is going to be a lot more work than I had originally envisioned, but if we do it right it will have a lasting impact on kids around here for years to come. First of all, we want this tournament to be a cooperative learning experience. Although one aim is to “rehearse” for the upcoming competitions, we have devised some ideas for deemphasizing the competitive aspects while encouraging collaboration and cooperation at all levels of the tournament. All events will be scored objectively, as in a tournament, but we won't provide mechanism for comparisons, such as a public posting of standings. In some cases, we will also try to provide some subjective, qualitative evaluation of performance for the teams to take away with them as well. To help kids think about the competition from the judges viewpoint, teams will take part in the research project and technical judging as judges. The ideal pattern would be that the panel of judges would consist of one FLL representative, one Dartmouth student, one coach, and one FLL team. After the three adults have conducted the judging in the normal way, the FLL team would be permitted to ask one or more questions of the team they are judging. The team being judged would walk away with the normal objective evaluation from the adults and with perhaps a sentence of subjective evaluation (the best part, or the strong point) from the kids. The head-to head robotics competition will be very similar to one in a FLL tournament, except that we will try to be more accessible to explaining the scoring and we won't be posting scores on a board. It will consist only of three head-to-head competition rounds per team, with no elimination rounds. We had talked about creating some awards that would not be the obvious result one team overcoming another, but our venue at the Thayer school makes it difficult to create a awards ceremony. It does seem like we need some mechanism to create the type of closure which awards ceremonies create. I imagine a kind of a rally where we send people off to their competition and remind them that the people they meet at our tournament will friendly faces when they see hem down south. Let me know your thoughts on awards mechanisms. My preference is to have one of you each to do this since you are the most experienced coaches in the area. This is a very open ended assignment. It does not require you to staff the room full time. It mainly requires a lot of communication among us. None of us have ever done this before (as far as I know) so we are all making it up as we go along. We just need people to try. Part of this is also to continue to refine the concept I have outlined here as we keep the conversation going over the next few weeks. 3.Start getting teams to sign up (I am also handling communication and registration). Please respond to everyone with any ideas you have for the tournament or to Kristen or me with questions about how something you might be willing to take on would fit in. There are five of us in on this discussion at this point, and hopefully that will grow over the next few weeks. One of the exciting developments that Kristen has brought about is involving Skye Sweeny (of the FLL Freak website fame) to help with technical judging at this tournament, so depending on his schedule he might be among the other people who will be joining in. Also let me know if any of you have experience with better ways for us to organize this kind of collaboration. It's going to be a fun couple of months. Kristen, Steve, Dave D. and Dave A. How Many Teams Can We Handle in Our Tournament? One of the questions we need to answer early, to be able to do detailed planning, is how many teams will we be able to accommodate at the Tournament (DART). The fact that we are just getting started. How limited are our "courage" and "effort" resources? On the other hand, no one want to leave an interested team out. I have created a sample schedule (at http://robotics.wikidot.com/schedule) based on the assumption of ten teams. That is our five teams plus five more. To put this in perspective, Steve has a total of 2 - 4 teams in Enfield, in addition to his own. Kristen gave me a list of 8 or 9 teams in addition to her own. So a plan for 10 teams would leave at least 10 -12 teams without spots (if they are interested). Look at the schedule. How many teams should we create capacity for. If we want to increase the number, what changes should we make. 2. Work through lunch. Do we have the stamina and volunteer resources for this? 3. Increase the number of venues. Is this even possible? Besides space, it requires increasing the number of highly competent volunteers required. 4. Lengthen the tournament day. The above approaches adjust the variables in the current equation. We can also change the equation: the tournament structure. For example we can double the number of robot competition tables (by eliminating the audience) and reduce the scope of the other judging venues by combining Technical judging and Project judging into one combined judging exercise. This reduces logistical overhead but also reduces the the realism of the experience. I'm sure you guys can all do the math. Please let me know what you think. Do the five of us need to sit down together when Kristen get back to campus next week ? I have also added some detail to the DART website. The Technical Judging , Research Project Judging and Robot Competition pages show my initial thoughts on what the organizer of each venue might need to decide on.